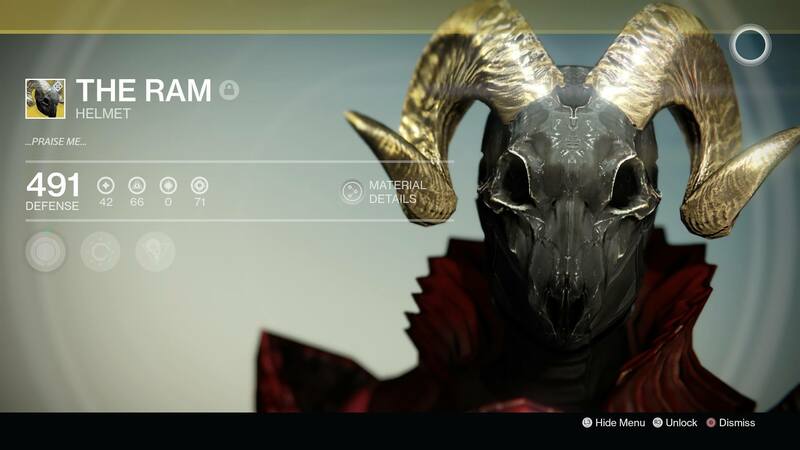 Today we’re going to continue looking at each exotic item that’s available for players in Destiny Year One. We’ve already looked at the weapons and armor pieces that Titans can find; today let’s look at the Warlock choices. 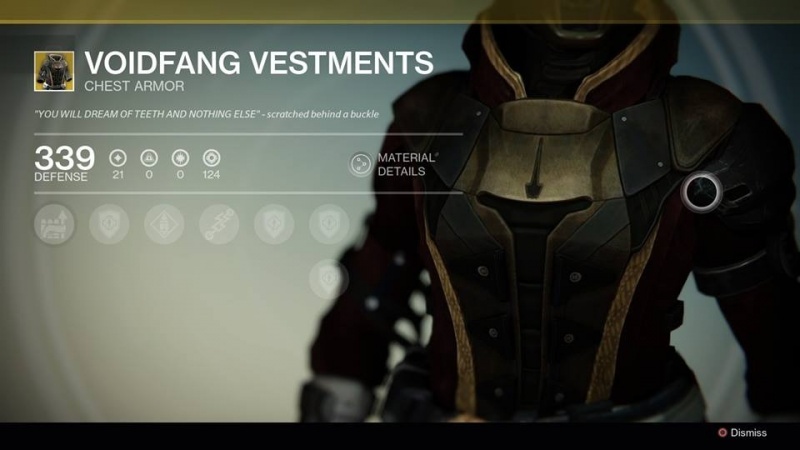 While the Titan has a possible exotic for each armor slot, Warlocks are limited to three of the four. There are no exotic boots for Warlocks, at least as of Year One. Like we did with the Titan, we’ll look at the items both from a form standpoint, as well as function. With that said, let’s start at the top with the helmets. Much like the Titan, Warlocks have plenty of options here. While technically most of the helmets are class neutral, Voidwalkers definitely benefit from just about every helmet. We’ll start with the Apotheosis Veil – one that is actually subclass neutral. The big selling point here is that you regenerate your health whenever you activate your super ability. With good orb generation, that’s pretty constant health regeneration. It’s a cool design, nothing super flashy, and one of a few exotics that actually will change colors with the shaders. It’s unfortunately overshadowed by plenty other exotic choices. Next up is the Light Beyond Nemesis – we briefly mentioned this yesterday when talking about the Year Two update. This is the Keeper of the Pack item – AKA the quick revive choice. If you absolutely have to use this on a Warlock, go for it; but in general, I think role is better suited to the other classes. Where this piece shines is the design – it’s definitely one of the cooler helmets in the game. A solid choice, but not the best possible perhaps. Our first subclass specific helmet came in The Dark Below and Voidwalkers rejoiced. Obsidian Mind is perhaps the most powerful Voidwalker specific armor piece. In certain situations, it can net you almost constant Nova Bombs, through the exotic perk that reduces cooldown based on kills with it. Add in Obsidian Mind looks super sleek with a jet black design and it was destined to be a clear winner; and really still can be. 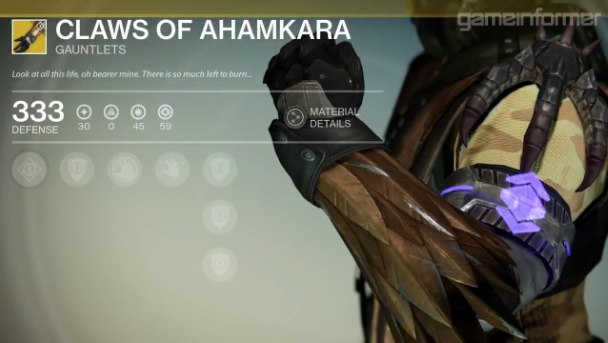 The other Voidwalker specific is the Skull of Dire Ahamkara. It’s another super cool design – I’m a fan of the exotics based on the Ahamkara lore. From a perk standpoint, it’s not terrible – you become even harder to kill while Nova Bombing, and your Energy Drain melee abilities are increased. However, all these helmets have been overshadowed with the addition of this last choice: The Ram. Added in with House of Wolves, The Ram is the only item in the game that allows you to innately push a stat over the cap – in this case, it’s your armor stat. In PvP, that’s an insane benefit (and one that Sunsingers can push even farther) – it lets you survive things that no one else can – sticky grenades in particular. If you’re playing Voidwalker, you can get extra benefits with it adding in Life Steal for all your melee attacks. And it looks as badass as possible, resulting in an exotic that has risen right to the very top of the charts. With the chest armor, the subclass balance shifts the other way. Three of the four armor choices here are Sunsinger based – and that fourth choice really can actually benefit the Sunsinger just as much. We’ll start with The Heart of the Praxic Fire – one of the cooler looking chest pieces, even without applying shaders. However, the exotic perk, which further reduces cooldowns while using Radiance, actually doesn’t have a huge impact. Datto has a video going through the details, but basically even with a max discipline build, you’re probably only going to get one more grenade out. Not that huge of a boost. Next up, the final House of Wolves piece for Warlocks – the Purifier Robes. I love the design of these things – the bird looking emblem right at the breastplate really looks great, and really pops with Thunderdevil on. Unfortunately, their use is really quite limited. You can only get the disorient effect when you self-revive using Radiance. That means you have to die first. Add in a pretty small radius of effect, and even in PvP they pale compared with other choices. For example, the Dark Below chest piece, the Starfire Protocol. It provides you with a nice, simple bonus – a second Fusion Grenade. Sure you have to use a specific grenade, but in general, the Fusion Grenade is awesome across the board, especially in PvP. They look good on top of that, pairing well with a number of shaders. Finally, we come to one of the older armor pieces – the Voidfang Vestments. These were all over the place back in the early days, and really, I think they hold up even now. Yes, they’re technically for Voidwalkers – giving your Axion Bolt grenade an extra seeker – but they have a second bonus associated with them. Anytime you spawn, you have grenade energy; which is applied regardless of subclass. Continually spawning with Firebolt grenades as a Sunsinger is a really great tactic – especially in Skirmish/Elimination. I love the design on these things too – they change with shaders, just have a super ornate look, and it’s just all around a great armor choice. Warlocks are in a really great spot here with exotic armor. There are a lot of really good choices from a gameplay standpoint, for both subclasses. Sure, there are some that are better than others, but there’s probably a perfect choice for just about any playstyle. I think this is something to keep an eye on as we move into Year Two – we know that a couple of these are moving forward with us, but how they’ll measure up to the new choices remains to be seen. This entry was posted in 2015 Impressions, Destiny Post-Launch Content Impressions, Destiny Year One Exotic Week and tagged Bungie, Destiny, Exotic, The Taken King, Video Games, Warlock, Year One by Dan Fasulo. Bookmark the permalink.